A while back, I bought a secondhand Liebert GXT2-2000RT120 uninterruptible power supply (UPS) on eBay. The GXT2 is a series of online UPSes, meaning that the output power always comes from the inverters off the battery bank; it doesn’t switch from utility power to battery power like an offline UPS. Besides eliminating any possible switchover glitches, online UPSes always deliver conditioned power at a constant voltage. The 2000RT120 is a 2000VA unit with 120V output — large enough to power all my servers for a good little while. 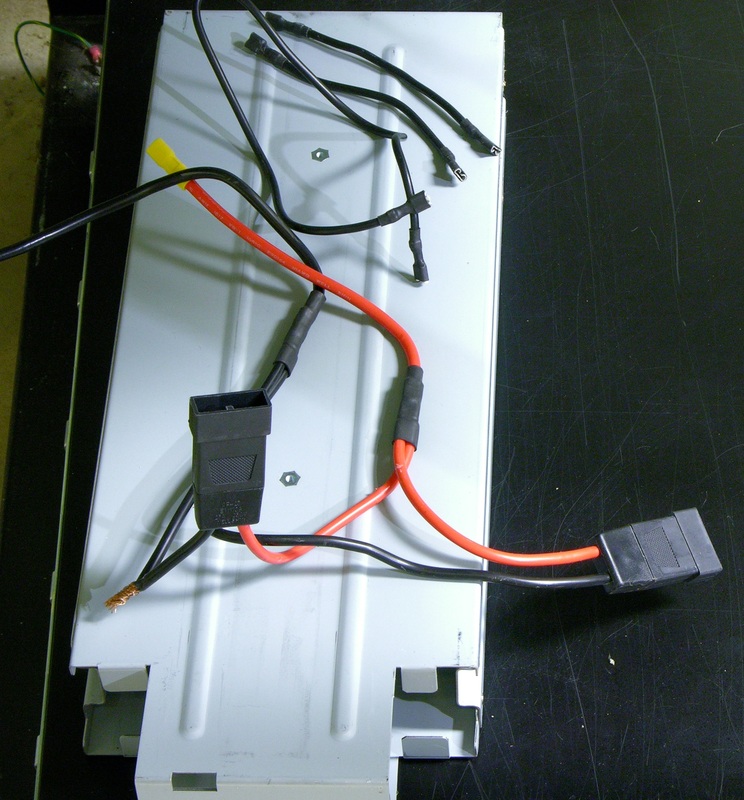 The batteries were due for replacement and the seller removed them to save on shipping costs. I got a UPS with a set of wires and no instructions on how to connect them. Also one of the wires was compromised … but since it appears to be a ground wire, I figured no big deal if it shorts out against the cage. KIDDING! 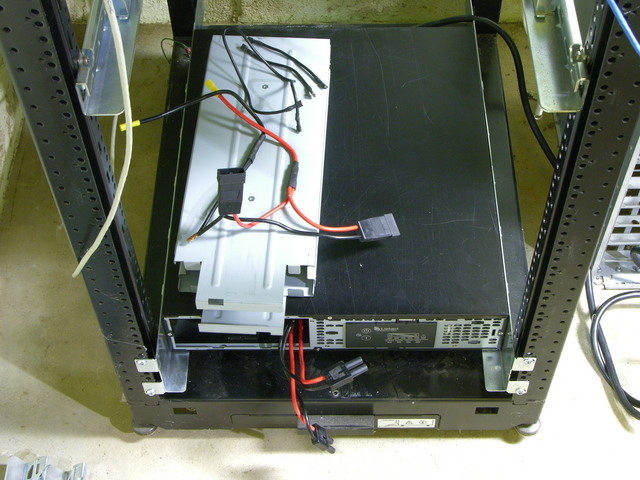 Yesterday I figured out the wiring, installed batteries, and got the UPS set up in my server rack. As I noted previously, I recently got a x0xb0x kit. 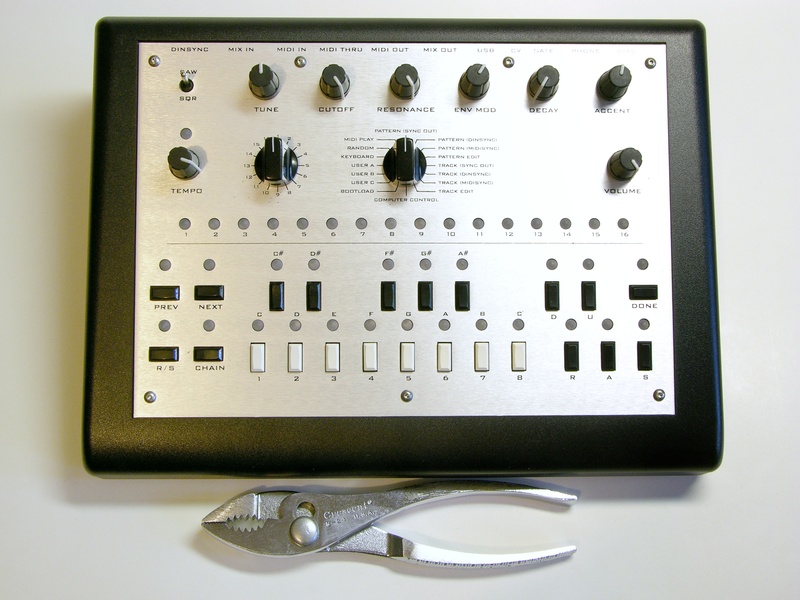 The x0xb0x is an open-source-hardware replica of the 1980s Roland TB-303 bassline synthesizer (and sequencer) that was influential in the development of acid house music. Limor of Adafruit Industries and a mysterious, anonymous German studied the TB-303 schematics and measured the behavior of its now-rare semiconductors and designed a replica with the same analog circuitry and new digital features, including MIDI I/O (supplementing Roland’s pre-MIDI “DIN sync”) and simpler sequencer programming. Adafruit produced x0xb0x kits in batches of 100 as Limor was able to track down enough “rare parts,” order circuit boards, and assemble the common parts into kits. I’d been on her waiting list since 2008, so was terribly disappointed when she officially announced what we had all come to realize anyway — that tracking down the rare parts was becoming enough of a hassle, she wasn’t having any fun doing it and wasn’t going to produce any more kits. Happily, Limor announced shortly thereafter that thanks to Adafruit’s open-source hardware license, James Wilsey of Willzyx Music in Taiwan has taken up the torch and would shortly be offering x0xb0x kits. 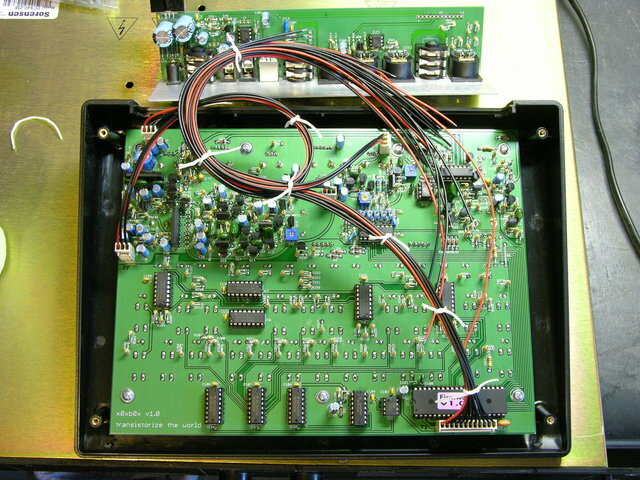 You are currently browsing the Keith's Electronics Blog blog archives for June, 2010.